444 pp, 502 B/W photographs (many never before published), plus maps, appendices, notes, bibliography, and index. Hardcover 8.5” x 11”, $49.95. Scroll down for Editorial Reviews and Praise from Readers. In the 1930s to 1960s, if you wanted a quick, simple exit from marriage, Reno, Nevada was the place to go. Divorce seekers by the thousands—Eastern socialites, movie stars and housewives—came running to Reno to seek a six-week divorce. Reno was known worldwide as the “Divorce Capital of the World” … and “I’m going to Reno!” became synonymous with “quickie divorce” and “the cure”. Author Bill McGee experienced this epic era of the contemporary American West firsthand. In 1947, McGee was hired for the coveted job of head dude wrangler on the Flying M.E., twenty-one miles south of Reno in Washoe Valley. The “M.E.” was regarded as the most exclusive of Nevada’s divorce ranches (as they were called) and catered to wealthy Easterners, socialites, and the occasional Hollywood celebrity, most seeking a six-week divorce. References were required. 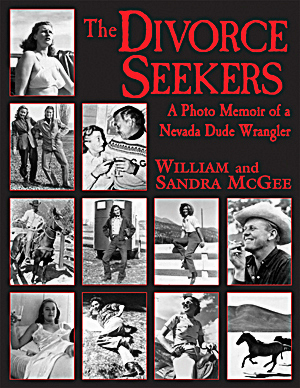 McGee’s collection of stories—laced with names like Clark Gable, Ava Gardner, a Roosevelt, du Pont and Astor—are mixed with sidebars about the Reno divorce era, the local sights and watering holes, the business of divorce in Nevada, and more. Part I, Cowboyin’ Memoirs – The author’s years in the 1930s and postwar ’40s cowboying in the West. Part II, The Famous Flying M.E. and the Changing Cast of Characters – A collection of stories about the parade of fascinating guests and how they spent their six weeks on the Flying M.E. Part III, Gettin’ Untied – The serious business of divorce in Nevada. Part IV, Other Leading Nevada Dude-Divorce Ranches, Circa 1930-1960 – Profiles of the Pyramid Lake, Washoe Pines and Donner Trail guest ranches. Also a profile of the TH Ranch, Nevada’s first ranch to take in paying dudes in the late 1920s. Get in the mood … Mix a manhattan and watch the video clips and interviews! Scroll down for more Editorial Reviews and Praise from Readers. 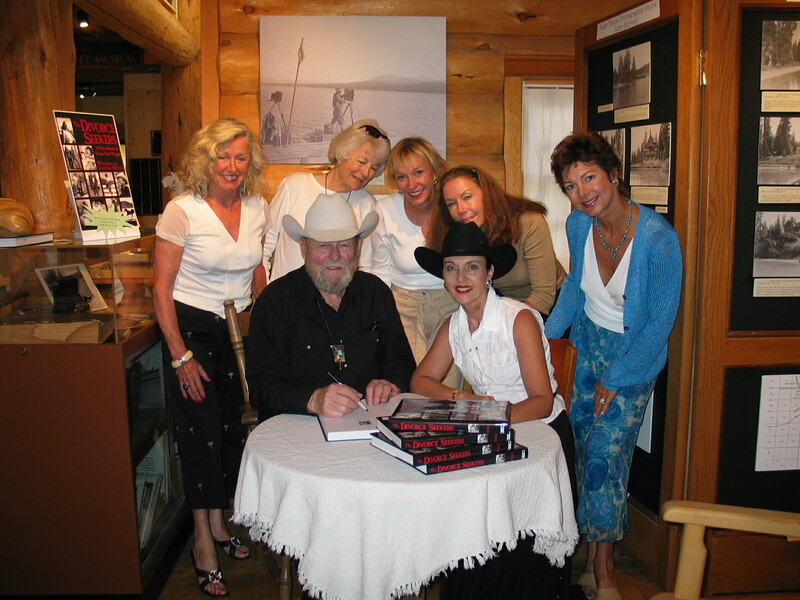 Bill McGee spins funny and fact-filled tales of his days as a young wrangler at the Flying M.E., a Washoe Valley ranch for prospective divorcées, in the late 1940s. The reader meets Clark Gable, Ava Gardner, New York heiresses, and other ranch visitors at their most relaxed. The excellent photos, like the words, capture the rustic glamour of that bygone era.